It feels like we’ve been waiting an eternity for the reborn Toyota Supra to arrive. We already know it’s coming since a prototype test mule has been spotted out in the wild numerous times, but the automaker’s silence about the iconic sports car’s successor is concerning. It will reportedly be part of Toyota’s new Gazoo Racing division of performance cars, yet it was conspicuously absent when the division was announced. It didn’t show up at last year’s Tokyo Motor Show either, which seemed like a logical venue to unveil a new Japanese sports car. With Detroit currently underway, the new Supra was once again nowhere to be seen, though we admittedly didn’t expect it to debut at a US-based auto show. That leaves Geneva as the next event on the auto show calendar. 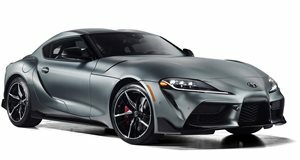 If a report by AutoExpress is to be believed, we don’t have long to wait for the reborn Toyota Supra to break cover as it will apparently debut at this year’s Geneva Motor Show in early March. According to the publication, insiders are claiming that the new Supra developed in collaboration with BMW will be offered in four flavors: a base model Supra, a Supra GR, a Supra GR Sport, and a range-topping Supra GRMN. Expect performance stats and prices to vary wildly between all four models. 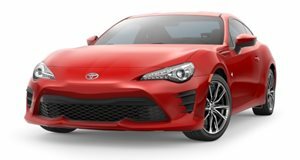 It also won’t be sold wearing a Toyota badge, and will instead be sold under the Gazoo Racing brand. Despite its reveal potentially being imminent, the new Supra reportedly won’t go on sale until the second-half of 2019 exclusively as a coupe. Its sister car, however, the new BMW Z4, will be sold only as a convertible. You can also expect the range-topping Supra to feature a six-cylinder engine according to the report. Don’t forget, too, that Toyota is considering other names for its halo sports car, so the final car may not even end up being called the Supra.